One of those stories that would be dismissed out of hand as fanciful if it were made as a fiction movie, the story of Bobby, Eddy and David is by turns exhilarating, uplifting, maddening, tragic, and ultimately (and despite all the odds, and what has gone before) life-affirming, albeit in a sad and distressing manner. It’s a measure of the skill with which Tim Wardle has assembled the triplets’ story that the viewer can experience all these emotions and feelings, and still feel that the trio were much better off for having the chance to know each other and discover the truth behind their adoptions. As the initial exhilaration and joy of their finding each other hints at a happy ever after outcome – the early success of their restaurant venture, cameoing with Madonna in Desperately Seeking Susan (1985), each getting married and starting families – the spectre of their adoptions begins to take on a greater weight in their story. Like the best endeavours of a fictional detective story, the movie begins to delve deeper into the adoption agency and its involvement in the nature vs nurture study that kept the brothers apart for the first nineteen years of their lives. As the truth emerges, outrage is layered with irony. The brainchild of psychiatrist, Dr Peter B. Neubauer, the study was sanctioned by the Jewish Board of Family and Children’s Services. Neubauer fled Nazi Germany in 1941; that he began a study that is eerily similar to the experiments the Nazis carried out on twins leaves a nasty, depressing pall over the movie that never quite goes away (and in many respects it shouldn’t). But though the material does emphasise the tragedy of the brothers’ separation, Wardle also allows several moments of easy joy and happiness, such as each of their wives revealing that they married “the handsome one”, and the sheer exuberance displayed in their television appearances. Alongside these moments, the recollections of their adoptive families sit comfortably in the framework of showing that each brother was loved for themselves, and no matter what the provenance of their adoptions. 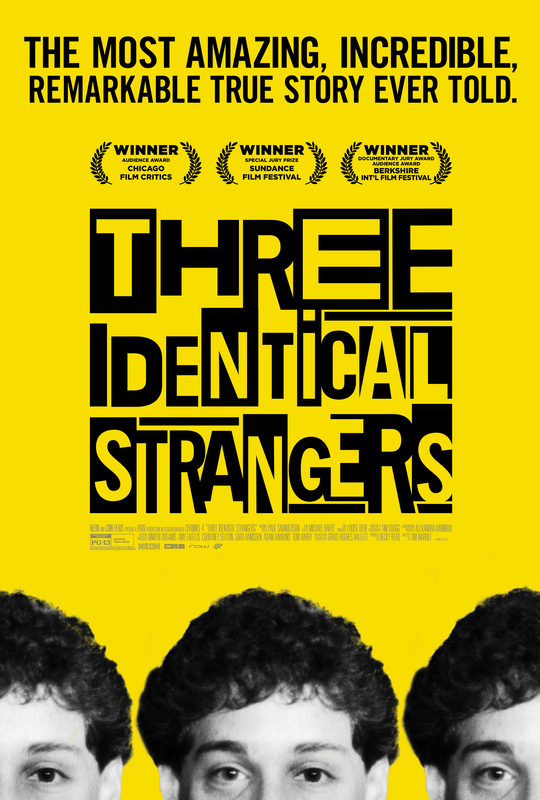 The movie mixes recreations of certain events with interviews with many of those who were there (including Wright, whose investigation into the twins study revealed the truth), and lots of archival material, to make this all a visually engaging, as well as intellectually and emotionally stimulating movie that really goes to prove that reality is stranger than fiction. 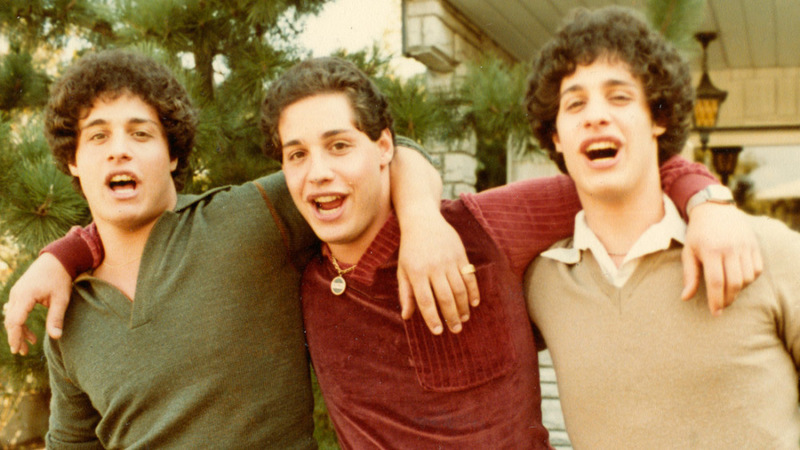 Rating: 9/10 – told with compassion and sensitivity, Three Identical Strangers is something of a revelation: intense, frighteningly credible (though you don’t want it to be), and continually fascinating in a I-can’t-believe-this-is-happening kind of way; a tragic story that still appears to be having a lingering effect on Bobby and David (though that shouldn’t be a surprise), this is a riveting, candid documentary that casts a vivid spotlight on a very shady endeavour, and does so with great skill and integrity.